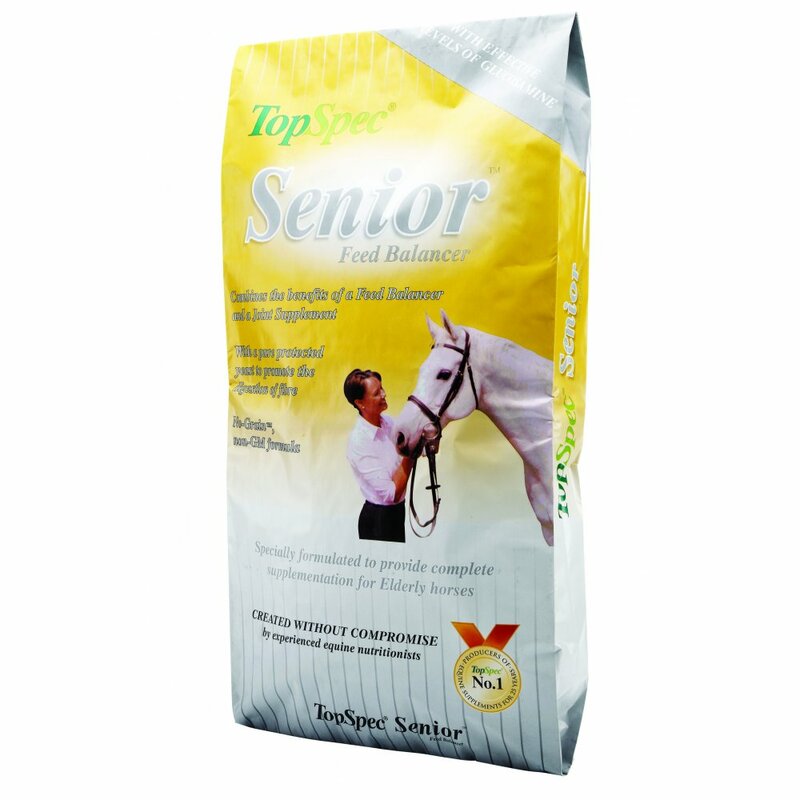 TopSpec Senior Feed Balancer has been specially designed for elderly horses, and is the first and only feed balancer to include the scientifically recommended rate of glucosamine to help maintain mobility. Combines the benefits of a joint supplement with a veteran specific feed balancer. The following amounts should be mixed in with your horse's daily feed. Feed at a rate of 100g balancer/100kg bodyweight daily. There are currently no questions for Top Spec Senior Feed Balancer for Horses - be the first to ask one!